For nearly fifty years, the Transcendental Meditation (TM) program of Maharishi Mahesh Yogi has helped followers use meditation as a path to gain deep relaxation, eliminate stress, promote health, increase creativity and intelligence, and attain inner happiness and fulfillment. Today, it is the single most effective technique available.Robert Roth, who completed his training directly under the supervision of Maharishi Mahesh, is one of the most knowledgeable exponents of these practices in North America. 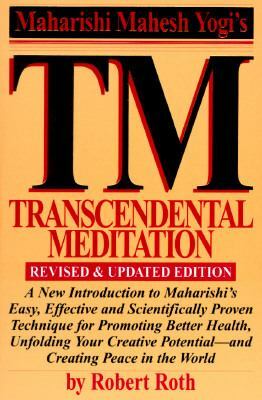 In Maharishi Mahesh Yogi's TM: Transcendental Meditation Roth addresses the benefits and techniques of TM, as well as its value for stress reduction and personal development. It is a unique guide to an enormously popular and successful program.Roth, Robert is the author of 'Transcendental Meditation' with ISBN 9781556114038 and ISBN 1556114036.